Terry and I are delighted. We have Star Trek on television again. Sort of. 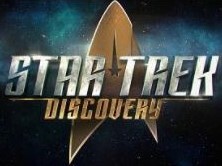 CBS has brought the new series Star Trek: Discovery to the online pay service CBS All Access. Smart folks that they are, the people at CBS put only the first episode on the broadcast network. Sort of like drug dealers: the first one is free then you have to pay after that. They had Terry and me hooked. The question was how to access CBS All Access. Neither our smart TV nor either of our two Blu-ray boxes (the second being attached to a dumb flat screen in the bedroom) has that as an available service. I thought we could sit in my office and watch the show on my computer, but the longer I considered the idea the sillier it seemed. Finally we decided to buy a Roku box (much more on Roku another time) which we attached to the smart TV in our Great Room. The series takes place ten years before the original Star Trek, though the uniforms somewhat resemble those on Enterprise, which was set fifty years before the original series. That’s OK. If what we are told is correct the series remains true to the Star Trek timeline, unlike the current movie series that totally mucks up the space-time continuum. It’s Star Trek on television honoring the timeline. Terry and I are happy to pay a few dollars a month for that. As I read, I kept thinking, “Get Roku! Get Roku!” And you did! Yay! Now you can get Acorn and other good things. You may end up dumping cable…like I did. Love the Roku. In addition to Star Trek I can watch Stephen Colbert whenever I want without having to record an episode. Then there’s all the good stuff on Hulu. Haven’t cancelled cable yet, but I did cancel Netflix.